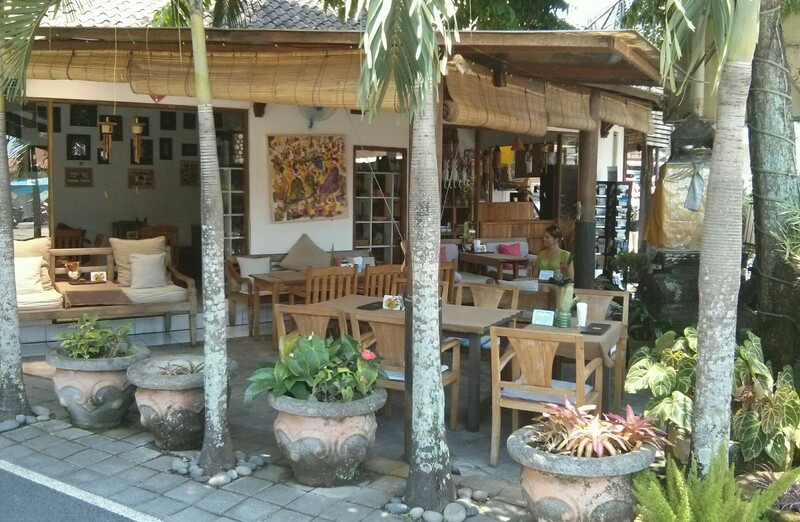 The China Moon Cafe is located on a busy corner, opposite Coco’s supermarket at the beginning of monkey forest road. Despite this, they have made a cosy corner that seems miles away from what lies outside. 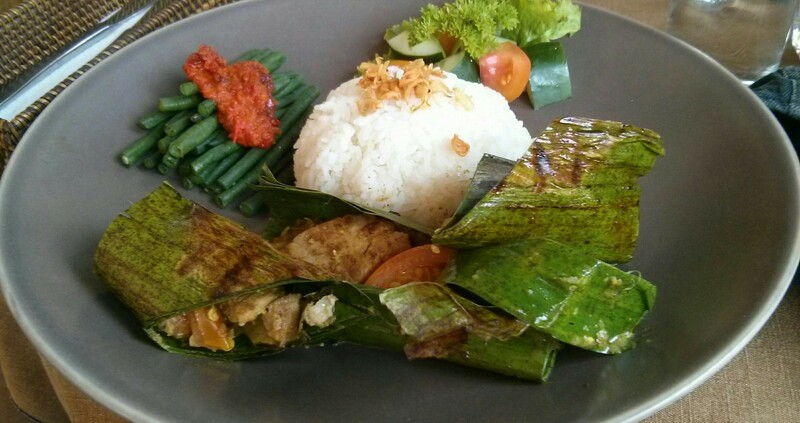 There is a good range of interesting Indonesian and western dishes, in a menu full of pictures so you know what you are going to get. It includes a sightly Japanese style section as well as desserts, and some healthy drink options. 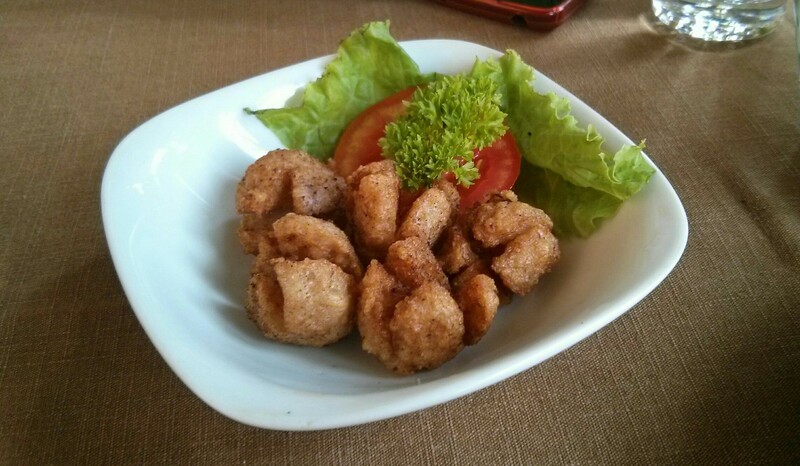 We decided to go with a starter of Fried Squid Balls (Cumi-Cumi Balls). These were very different flavour mix of salt, chili, cinnamon and light batter, with a slightly chewy texture, they were very enjoyable. Rob’s Pepe’s Ikan was filled with flavoursome pieces of fish, with just the right amount of spice, with a nice chili sambal on the green beans. Clare went for a dish called traffic sate, which is fish satay, with glass noodles. 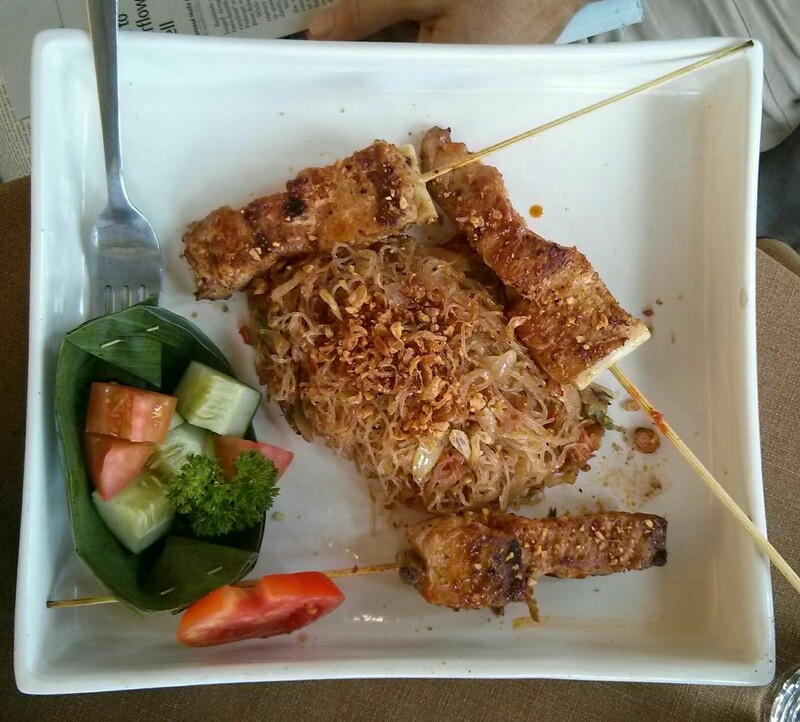 The skewered fish was slightly dry and missing a satay sauce which I was expecting, but the noodles were very tasty. The Moon Cafe is a nice lunch stop if you can switch off from the traffic noise and tune into the funky tunes that are playing in the background.